What a successful and busy ‘World of Work Week’ we had in EY1! 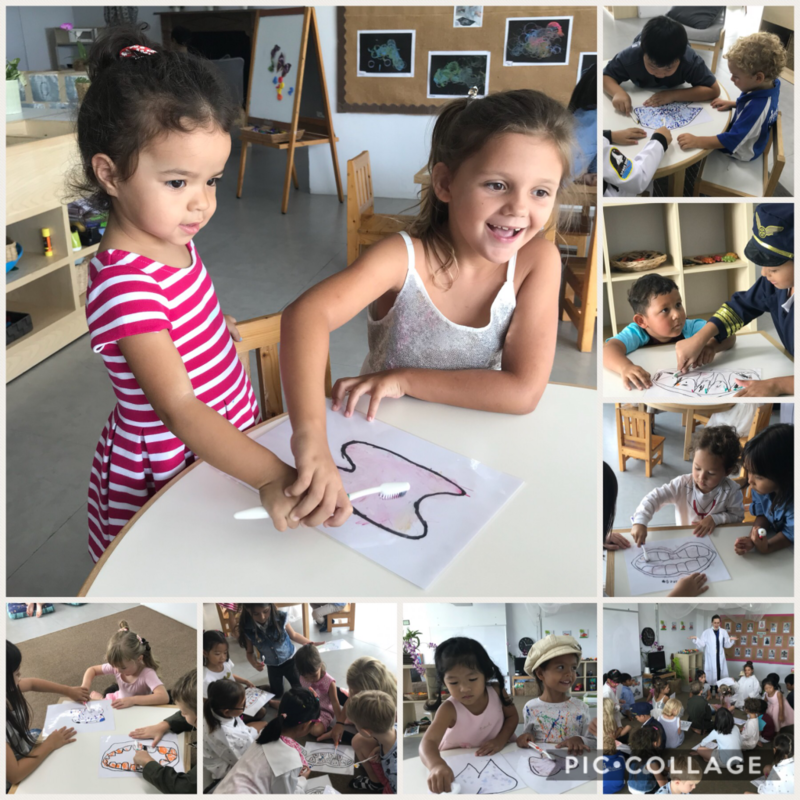 Through role play and free play activities, EY1 explored the jobs of police officers, firefighters, hospital staff, chefs, dentists, mechanics, engineers, veterinarians, musicians and artists. We had some visitors come to our school and talk to the children about their chosen profession and what it entails. 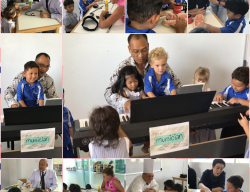 EY1 children were particularly impressed with the musician and his piano, and with the doctor and his stethoscope. The fire truck came to visit as well! 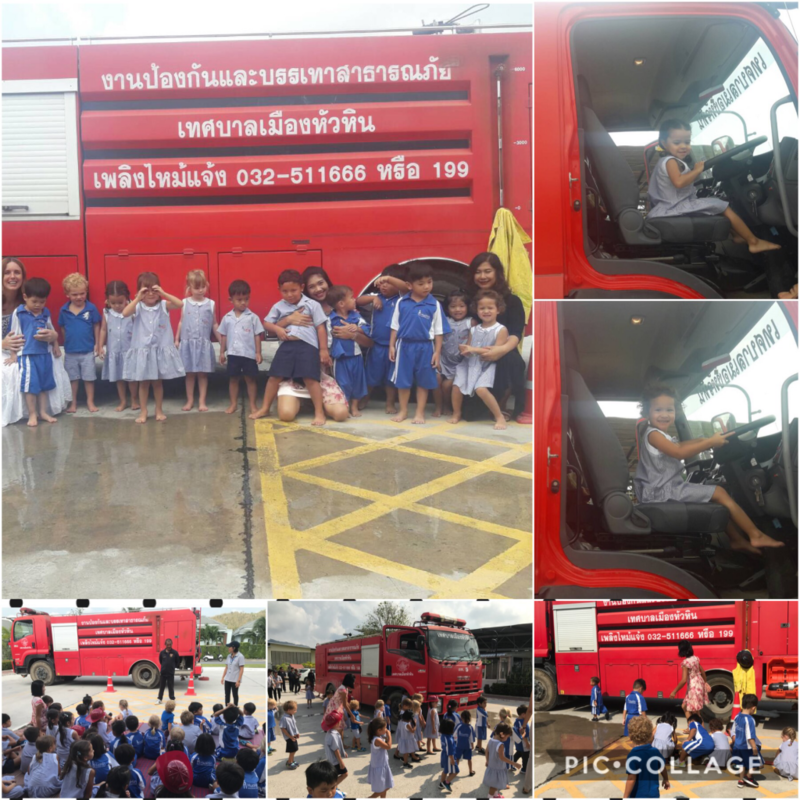 The firemen showed us their fire fighting uniforms, the different parts of the fire truck and how to shoot the water from the hose. We all had a turn to sit in the driver’s seat and pretend that we were the firefighters! 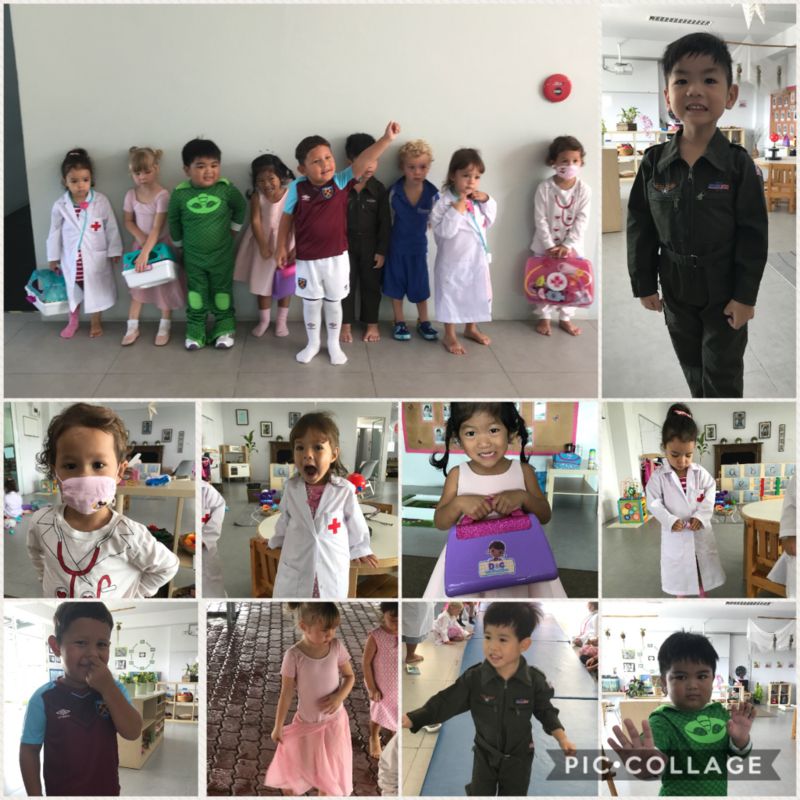 We finished off the week with a dressing up day where children could dress up as a profession of their choice and strut down the catwalk! On Friday we had a visit from Year 2 who came to share their learning with us by showing and telling EY1 about the best habits and practices for healthy teeth. Each child from EY1 was paired up with a small group of Year 2 students who proceeded to explain to us how often people should brush their teeth, for how long and why. We got to practise putting toothpaste on a brush and brushing onto a laminated tooth that Year 2 had created. As we brushed, the marks and ‘decay’ on the tooth magically began to disappear! 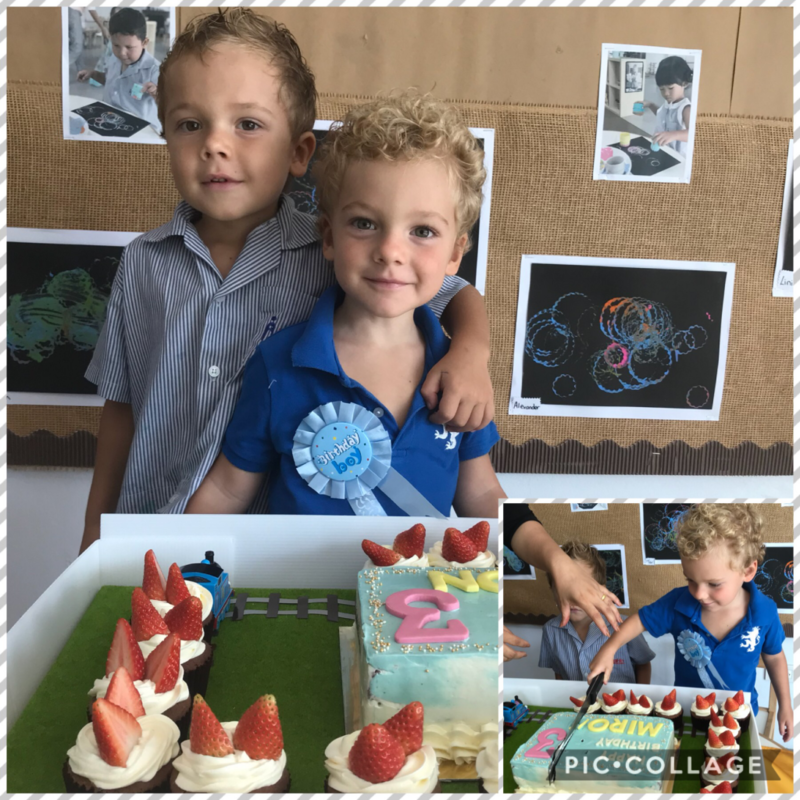 Happy Birthday to our friend Miron who celebrated turning 3 years old with us. Thank you for the yummy cake and party!